World markets are mixed so far Tuesday as Asian indexes gained while European investors are showing caution. Asia’s gains were led by Shanghai which was up more than 3 per cent; and Tokyo which gained almost 1 per cent on better-than-expected household spending and unemployment data. 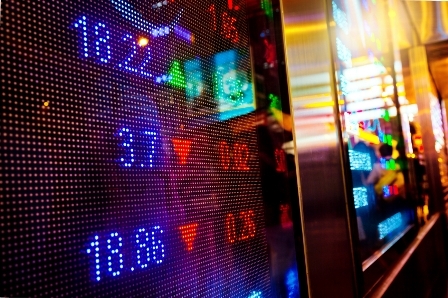 Energy stocks declined on the ASX leaving Sydney as the main decliner of the session. European investors are cautious ahead of the Fed’s interest rates decision and a meeting of the ECB. New data reveals deflation in the Eurozone has eased but growth in lending is a concern. A decline for VW shares followed earnings results showing a 19.3 per cent year-over-year drop in profits for the first quarter of 2016. The automaker’s profits were hit by the emissions scandal. Wall Street re-opens after the Memorial Day holiday and is expected to open higher along with Toronto. Concern over high levels of output from Middle East producers has led to a decline in oil prices. The OPEC member nations meet in Austria this week but the latest output data shows rising levels from Iraq, Iran, Saudi Arabia and Kuwait. Hopes of a production cap are low. Meanwhile, the summer driving season has given a lift to US crude prices.